Every now and then along comes a recipe that you may have glanced at, skimmed through, perhaps even mentally bookmarked, but between one thing and another maybe you’ve never found the time, the inspiration or the energy to actually make it. Maybe you’ve even forgotten about it. And then one day you remember it, you’re in the mood for it or something else spurs you on. You go out and look for the ingredients or realise you have them on hand and before long, you’re in the midst of making it, dirtying hands, bowls and kitchen counter as you go. Then finally there’s that telling moment, that moment of truth, where you bite into that creation that almost never was and you think, where have you been all my life? Well this, for me, is one of those recipes. It’s from Artusi‘s 1891 cookbook, Science in the Kitchen and the Art of Eating Well, and is one that easily escapes the eye, firstly because in a book of 790 recipes, there’s a lot of competition. Secondly, Artusi has given it the rather anonymous name of paste di farina gialla II, or yellow flour pastries II. The vague title of the recipe (‘yellow flour’ is rather sweet though), I think, is its downfall as it makes it too easy to skip over without reading the recipe first properly. It also comes after another polenta cookie recipe (you guessed it, paste di farina gialla I) that calls for lard and a touch of aniseed, not everyone’s current favourite cookie ingredients; ingredients that may not encourage you to read the second. And so, this recipe sat there, under my very eyes for about two years. Then it just so happened that I was searching for polenta recipes, particularly baked goods (more on this soon but it’s also no secret that I have a profound love of polenta cakes). Only Artusi doesn’t call this wonderful ingredient polenta, but rather ‘farina gialla‘ (‘yellow flour’) in the titles or ‘farina di granturco‘ in the list of ingredients, which is tricky if one does not know that he means polenta. In English, the name of this slightly coarse ‘flour’ – or more a ‘meal’, really – made of stone ground (if you get a good one) dried corn, is just as confusing. In Australia, we call it polenta, in the US it’s often also known as cornmeal, it’s just not to be mistaken with corn flour, which is an entirely different product, a powdery, white wheat starch (also called corn starch in many British-influenced countries or maizena in Italian) used in cooking as a thickener. The word ‘polenta’ itself is Italian and describes not only the ingredient but the cooked dish as well. In fact, one of the most beloved forms of polenta – softly cooked polenta like a thick, creamy porridge to cradle some heavenly wintry stew or ragu – is what gives this ingredient its name in the first place. It comes from the Latin, pulmentum, for gruel or porridge, a most common dish of ancient Rome. Ah, but the Ancient Romans did not even have corn, you may be thinking. Rightly so. Their ‘polenta’ was often made of millet, chestnut flour (in parts of Tuscany this is still a tradition, albeit a dying one), farro or chickpea flour. It was not until the introduction of corn from the Americas to the Italian peninsula in the High Renaissance of the sixteenth century that cornmeal mostly took the place of these other starches, becoming a basic staple of la cucina povera, particularly in northern Italy, where it has long played an important part of peasant food traditions. 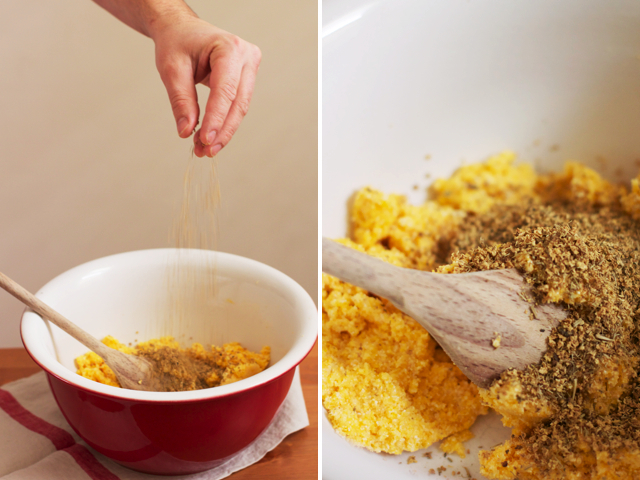 Throughout his cookbook, Artusi uses the word polenta only to refer to the ‘porridge’ (as in ‘a polenta of…’) and commonly uses the name ‘farina di granturco‘ for polenta, the ingredient instead. It literally translates to ‘Turkish grain flour’, and although the corn didn’t come from Turkey, it’s synonomous with somewhere far-flung and exotic, like, say, Latin America. Another thought is that it’s a translation gone wrong (in Italian Turkey the country, Turchia, its people, turchi, and turkeys, the birds, tacchini, are completely different words) for Turkey wheat, a name used to describe a now nearly extinct American heirloom wheat variety and corn. The connection between language and food will never cease to fascinate me. Although polenta is most commonly cooked with liquid (water, stock or even milk) and can be then eaten as is or cooled, cut into squares and fried or grilled, it lends itself wonderfully to sweets and also as a “flour” for baking. Naturally gluten-free and with a much coarser texture than regular wheat flour (even the fine ground polenta), it has a good crumb and bite to it that sits somewhere near al dente. Baked in cookies like this recipe, it gives a delightful crunch. 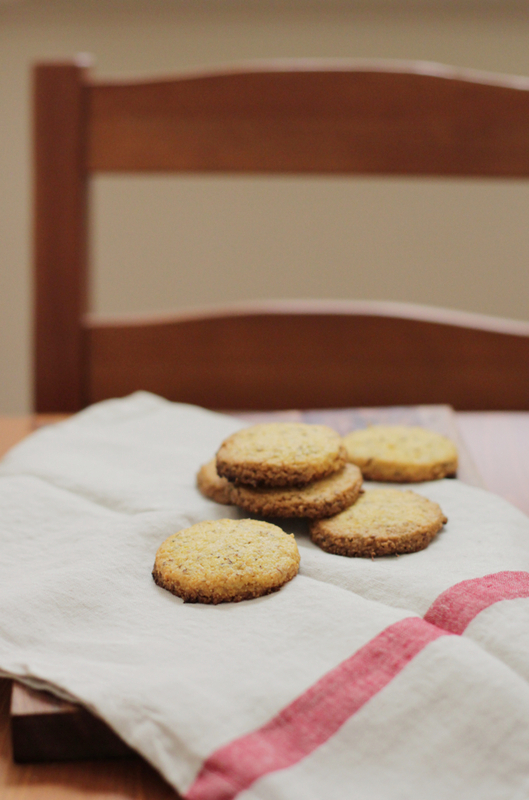 The real clincher for me with choosing this recipe, however, was the unusual addition of dried elderflower, which give a lovely, decidedly floral note to the cookies. Elderflower, known as fiori di sambuco in Italian, is often used fresh, its string of blossoms dipped in batter and deep fried like zucchini flowers (squash blossoms) or made into delicious syrups and cordials. Dried elderflower, much like dried camomile, is used as an herbal infusion and can be found in health food stores or specialty tea shops. This tea is said to aid numerous ailments, from hay fever to asthma and even wards of coughs, colds and flu, as well as being an excellent detox. Need any more incentive to eat an entire batch of these cookies, particularly when feeling a little under the weather? Make a dough by combining the butter and sugar together until creamy, then adding the yolks, and finally the dried ingredients. If you find the dough is too crumbly or hard, add a little bit of water until you have a dough you can work with (remember this has no gluten in it so it will always be a little crumblier than a cookie dough made with regular wheat flour). 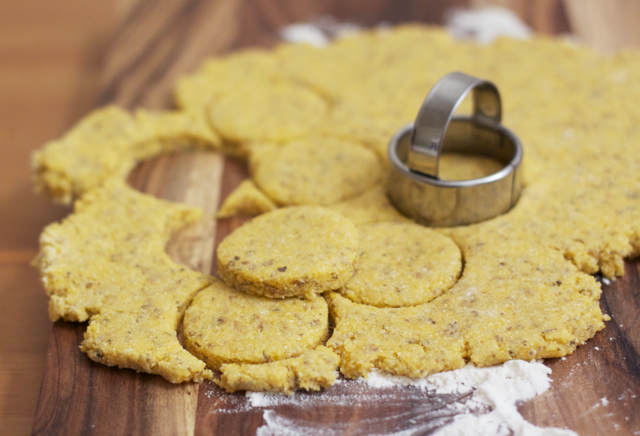 Roll the dough out on a floured surface to 1cm thickness and with a small cookie cutter, cut out rounds and place on a cookie sheet with plenty of space between each cookie – these expand quite a bit when they cook. Bake at about 180ºC until golden and crunchy. Artusi mentions these cookies are to be served with tea; I think of course it’s only natural to serve them with an elderflower tea. This recipe looks really interesting. I would never have thought of putting Elderflower (which is everyhere in England right now) with Polenta (the pasta of Lombardy). I am a English girl living in Milan so this sounds like a perfect recipe for me and I miss the flavour of Elderflower at this time of year. Any ideas where I can find Elderflower in Milan? What a perfect combination for you! I would try looking for dried elderflower (fiori di sambuco secchi) at an erboristeria, health food shop or a specialty tea shop – look for whole flowers (like good quality camomile tea) rather than the powder. You can even try the supermarket, in the herbal tea section but just make sure you look at the ingredients, I know the brand Ricola sell a tisana ai fiori di sambuco but it’smixed with other herbs (and may also be powder form). Good luck! Ha, another polenta lover! It makes extremely satisfying crunchy biscuits. Dried elderflower is sold like dried camomile flowers for tea – so look for it anywhere you’d buy good quality herbal tea such as a health food shop or specialty tea shops, even online. As I said to Rebecca, go for whole flowers, make sure it’s not powder or has anything else mixed in with it if it’s a tea. As always, such a wonderful post. Hi Emma! I’ve never tried it myself but I’m sure in a recipe like this they’d be wonderful home-dried. I thought you could dry them in a bunch, hanging upside-down but then I found this lovely slowfood guide to all things Elder and they say lay it out flat on wire mesh or similar: http://wildandslow.com/wp-content/uploads/2011/03/WILD-ELDERFLOWER-FINAL.pdf Next time I’ll try it myself! Let me know how you get on! Sounds good, I’ll give it a go! I might try hanging up a bunch, it sounds easier. Well, it’s definitely easier in terms of space, I don’t know about you but I have very limited bench space! I think the important thing is to have plenty of air circulation and it should be fine. Lovely! That is such an interesting and unique recipe. I love the fact that those cookies are flavored with dried elderflowers. Unusual isn’t it? The house fills with the best aromas while baking these! 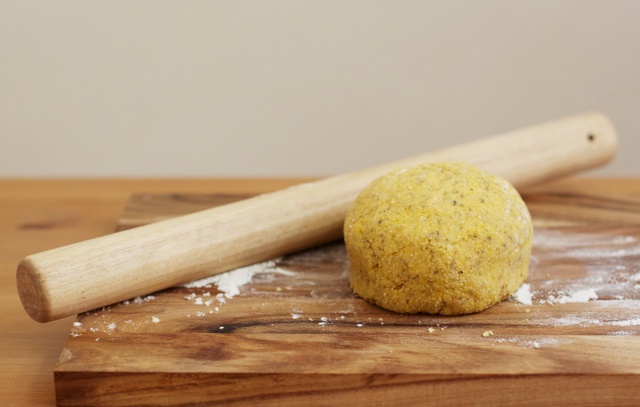 I love the sound of this recipe – I have been experimenting with different types of flour a lot recently and actually had bookmarked the idea of making a polenta cake but now I am wondering whether I should make polenta cookies instead! And I love all your posts on Artusi’s recipes – my boyfriend promised to pick up a copy for me (I have been meaning to read it for ages), I am just hoping my Italian is up to the challenge! And thaks for the warning to not judge a recipe based on its title alone! It’s true, especially so with Artusi, that you can’t judge a recipe by its title alone! And that’s part of the fun of discovering Artusi’s recipes also because there are no pictures, you don’t always know what to expect until you’ve made and tasted the recipe! I hope you like the cookbook, it’s a great read and aside from a few old-fashioned but charming words, it’s a great way to practice your Italian too! Beautiful post, Emiko! I love the story, the photos and I want to bake this cookie ASAP. I just need to find dried elderflower (I don’t know if it’s available in Hungary)… or I should just forage it myself and dry it! Elderflower is in its season now here. I love, no better, adore polenta. I’ve learnt to make polenta cakes, breads and cookies. But I’ve tried fiori di sambuco just in beers. Now I’ll look for them to do your cookies. I just tried making with with dried rose petals instead of elderflower as they were sitting unused in the cupboard. I significantly cut down on the flower quantity due to fear the rose flavour would overpower and could barely taste a rose flavour. I love the texture of the biscuits and the idea though. I might see if I can get hold of some dried elderflowers to try it properly. Thanks for the inspiration. Nice idea, perhaps if you can’t find dried elderflower you could try with camomile tea (a high quality kind that contains just the flower heads), as this would be the closest thing I think. Good luck! I have tried these this week-end and really enjoyed their color, texture, taste. The elderflowers really give a nice flavor all delicate and fresh. I dried the elderflowers myself as there are still some left on trees here in the UK and we have enjoyed several days of really hot weather:the flowers were just left to dry in the sun! 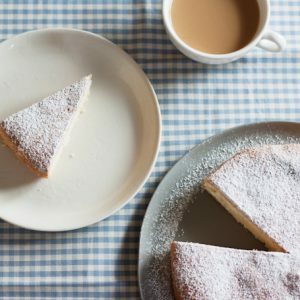 I also tried twice to make the torta di ceci with chickpea flour and followed the recipe exactly but it was a disaster as the pancake just stuck to the pan and I could not get it off : what did I do wrong ? Hi Anne, thanks for the feedback, glad you enjoyed these cookies as I did – what a treat to use your own home-dried elderflowers! For the torta di ceci, I’m sorry you’ve run into problems! 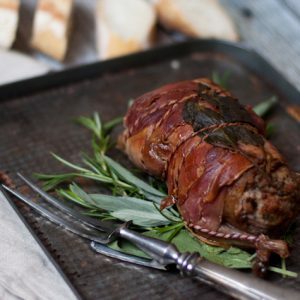 It does have a tendency to stick so I would try a number of things – a non-stick pan first, or failing that, some baking paper. 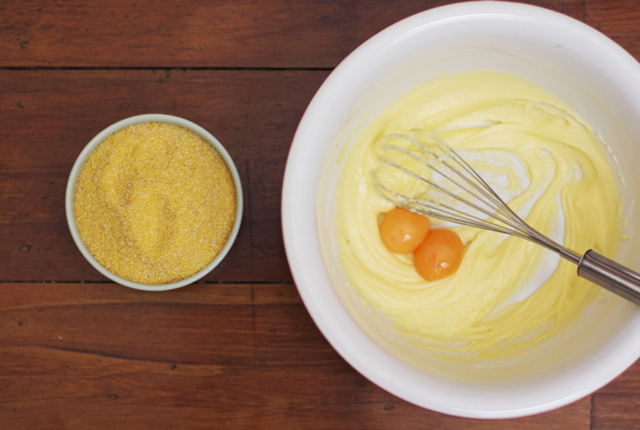 Also, make sure you grease generously with olive oil, you could even add an extra glug of olive oil to the batter. Hope that helps, good luck! I ‘ll try again ! 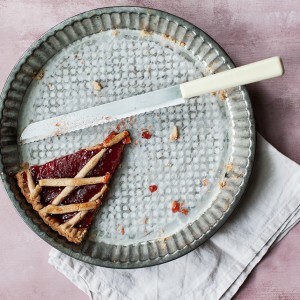 I only discovered your blog recently as I was looking for a recipe of rose petals jam and your pictures and text were incredible. Thanks for sharing. Thanks Anne, I appreciate your feedback! Thank you for this blog post! 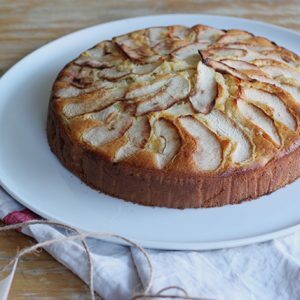 I have been trying to decode a recipe that asked for farina di meliga fine (farina di mais) and thought surely a cake couldn’t be made with polenta. But apparently it can be, so my flour hunt can end. 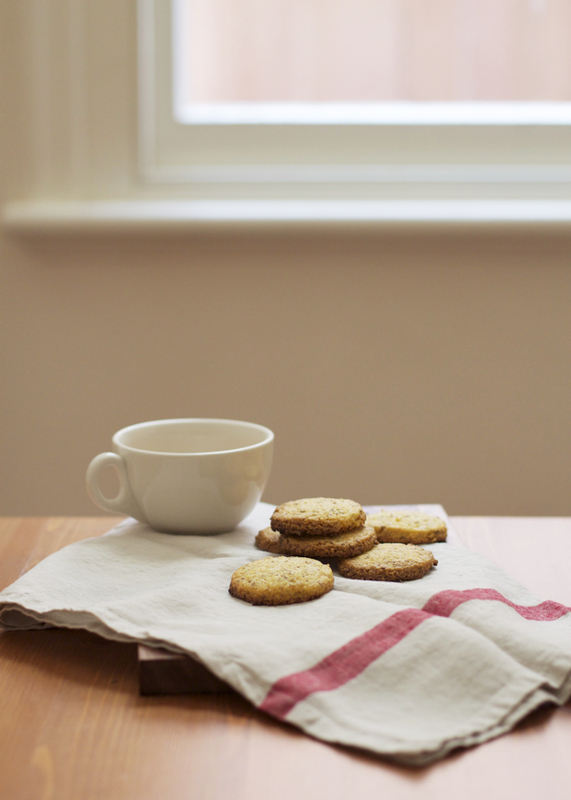 I will also be trying these biscuits just as soon as I can find some dried elderflower. To make them, do you think it would matter if I used either a farina di maise per polenta or farina gialla..? Thanks for your help! In Italy, you can buy polenta that is finer and used especially for baking, rather than coarse polenta used for, well, polenta. But I have used both in these recipes before. The coarse polenta just adds a bit more crunch, but you could search out the finest polenta you can find, perhaps even instant polenta would work well as a substitute. Dried elderflower can be found in health food shops where dried herbs/flowers are used for teas – or you could also try it with dried chamomile flowers (look for the whole chamomile flower heads rather than the powdered stuff). Good luck! I love your recipes. These are really unique I haven’t encountered before.